If you get a chance to visit Italian trio Loimann‘s Bandcamp page and dig into their two prior full-lengths, 2014’s Drowning Merged Tetras — which is also streaming below — and 2010’s Towards Higher Consciousness, especially in the latter, you might hear some of the band’s roots in straightforward heavy rock, but it’s a stretch, and by the time you get to the second record, it’s mostly in the fact that, you know, riffs exist in both. What pervades the sophomore outing is a much more atmospherically-minded approach, and it would seem their impending third long-player is changing things up again. I haven’t heard it, so I can’t really comment, but given the ground they’ve covered thus far, I believe it. LOIMANN SIGNS WITH ARGONAUTA RECORDS! NEW ALBUM COMING NOVEMBER 9th 2018! 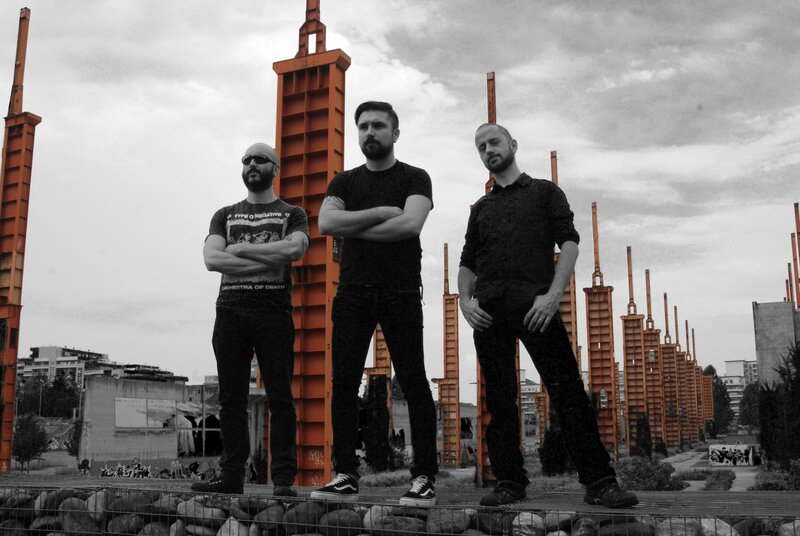 Italian Post Doom metallers LOIMANN have inked a worldwide deal with ARGONAUTA RECORDS in support of their upcoming third studio album! ‘A Voluntary Lack of Wisdom’ is set to be released on November 9th 2018. Formed in 2001 under the major influences of desert rock bands alike Kyuss, Fu Manchu or Monster Magnet, LOIMANN’s sound evolved over the years for a more doom and heavy psych approach. Recorded at O.F.F. Studios in Torino during the summer of 2017 with Paul Beauchamp and Salvo Arico (Marmore/Khoy), the band’s new work partially changes the direction compared to the previous records, with a more direct and easy listening sound while never losing their heaviness. “The Songs are shorter, more “in your face” (no keyboards at all this time) and with less complex songwriting“ the band explains. „On the other side we think we managed to obtain a more extreme result, with more growls and screams, concerning vocal parts and blackened post-core breaks coming out from doom/sludge riffs and atmospheres. The lyrics are centered on how human race is slowly approaching its extinction thanks to wars, pollution and thanks to how many human beings are becoming sort of involute individuals, thanks to the predominance internet has in their lives.“ LOIMANN continues: “We’ve heard and seen a lot about Argonauta Records during these past years, and we thought they could be an ideal new starting point for us. Then we met Gero and we immediately understood we are on the same level regarding many themes and musical tastes”. Set for a release on November 9th 2018 on Argonauta Records, the presale will be available soon with many more news and album tunes to come! This entry was posted	on Thursday, August 9th, 2018 at 4:18 am	and is filed under Whathaveyou. You can follow any responses to this entry through the RSS 2.0 feed. You can leave a response, or trackback from your own site. There goes another 0.218 seconds.